Ningbo Bowei Mould Metal Products Co., Ltd. is a limited company that integrates mould design and manufacture, aluminium and zinc die casting, precision machining and surface treatment. The company mainly researches and develops and manufactures aluminium communications casting boxes series, communications parts series, Auto and Motorbike Parts series, lamp products series and water pumps series as well as the related die-casting dies, and is the parts supplier appointed by the international famous companies, such as SAMSUNG,FUJITSU,WILO,SITECO. The company has established the good technical cooperative relationship with Wuhan Academy of Posts and Telecommunications Science. Bowei Company is located in Beilun of Ningbo that is known as 'Land of Mould Industry', near Ningbo Container Dock and very close to the entrance of Tongjiang-Sanya Expressway, enjoying a very convenient and advantageous geographic location. The company covers a land area of 8000 square meters, a workshop building of 10000 square meters and the company also has purchased a land area of 30 mu (a unit of area, 1mu=0.0667 hectares)in Chunxiao Industry Park for the purpose of establishing Ningbo Bowang Machinery Co., Ltd. and a production line with the annual capacity of 300000 sets of aluminium casting boxes is to be set up. The company's aim: Bowei Mould will be built to be one of the first class communications aluminium enterprises in 5 years. 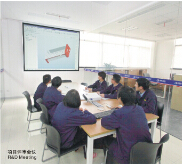 At present the company has 60 units of various processing equipment, including 10 die casting machines, ranging from 280 tons to 1250 tons; more than 20 CNC machining centers from USA and Korea, and various numerically-controlled equipment; test equipment of 3D coordinate device, spectrograph, detector of defects, tension dynamometer and hardness tester. The company fully carries out the quality management system of ISO9001:2008, TS16949, establishes the modern enterprise management system that is up to the international standard. 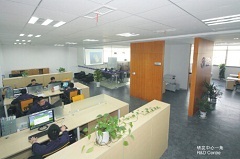 Since the establishment, the company has been following the operating policy of 'survival by quality and development by reputation. The company has become larger and larger and now has fixed assets of RMB30 million and more than 280 staff including 10 people with senior technical titles and more than 30 people with medium technical titles. The company always insists in the development thought or idea of 'take people as fundamental, keep on innovation, pursue to perfect and plan for mutual-win' and offers good chances and stages for the excellent talent to join the company and provides the long-term and table mutual-win R&D platform for universities and scientific research institutes and offers the new and old clients both at home and abroad the good quality products and perfect services.